photobucket now charging for third party hosting. Post subject: Re: photobucket now charging for third party hosting. It is a shame as there are a lot of restoration threads and other useful posts that have been created by people who are no longer on the forum. The threads are really spoilt by not having the pictures that are being referred to. but if you use the shareable link as a BBCode you get this instead. Current Cars - Valencia Blue 69 Vitesse Mk2 Saloon since 1991 and a Sprint engined TR7. Have had several Dolomites over the years. Last edited by vitessesteve on Fri Jul 28, 2017 5:09 pm, edited 3 times in total. "I'm still working on our image hosting stuff, it is pretty close now, has image resizing in it now and I'm looking to re-host the photobucket pictures so we're not reliant on that platform continuing to work for us to be able to fetch pictures from it. I'm also working on the account set up etc. I will need to look at some kind of paid options even if it just to offset my costs a bit, but that will need to be worth people actually spending on, so I'll draw some triangles and open some spreadsheets and work that out." I notice that a lot of PB pictures are now displaying again, I wonder if they have relented temporarily? I've used the ~original thing on a few and it's worked. Dunno for how long though! I'm getting an email from PB every few days, but they can shove it! Do you have any ideas about the relative merits of getting your own domain Raf? I have a couple of domains, one is my own surname .com, they are basically remnants from when I was the technical director for an ISP nearly 20 years ago, when the internet was a lot more like the wild west! One of the companies I used to use to have contact with back then (haisoft.net) is still going, they were an odd Anglo French lot, really above board though so I'm going to use their pricing for argument's sake. Basic hosting of 1GB storage and 5GB transfer a month, with forum sized pictures of roughly around 500KB each, will give you 10,000 views of one picture a month, for £36 a year. Next level up is 10GB storage and 50GB transfer a month, oddly enough is 100,000 views a month, for £75 a year. So prices are not silly money, and the benefits are your pictures never go walkies and you have complete control, no ads with the benefit of your own content and domain name if you choose to. As to the merit for just personal hosting of images on their own I'm not so sure, there are a lot of free hosting sites around still, though I strongly suspect that the tide is turning and the free sites are just not making money on advertising alone and will go paid for eventually. There are benefits though for a club like TDC to host images I think, mainly around historical items such as restorations etc. People come in and out of TDC as much as there are long standing contributors and members. You only have to look at the old archive board to both see a lot of names long gone as well as those still around, but the greatest loss of a lot of those posts is that the images are also no more. That great post that explains exactly what you're after with some great pearl of wisdom that says "and here it is explained in a picture" which is just a broken link image is, well, frustrating as much as it is a loss to the greater body of work that the TDC forum is from a reference point of view, let alone historical. Just goes to show how long it's been since I used Internet Explorer. Can't seem to find that function. I've started to edit the PB links. 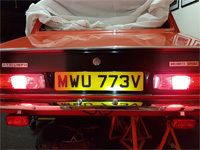 I've just done Mark Gibson's Sprint resto thread and I've started on my own epic resto thread. There should be more PB links coming back. Dave I already made the changes last week so there were no changes to be made. I'm not sure what if any changes you have made to my thread but please don't pass off someone else's work as your own, it's not cool. I noticed that most of them had been done but there were still a few that needed editing so I did them. I'm sorry for giving out the wrong impression. Edit: I think it was the posts made by others. Users can edit their own threads so as you've said, you have already editied your own posts. I've just found out that the images now won't show even with the "~original" fix (it was working last night). I've just tried it with with an old version of IE and Chrome on my work PC. Mine work fine. BTW there's a nifty Chrome plugin that displays the images automatically, though of course it might not work forever. The work PCs here are running Windows 7 with IE 9. I installed Chrome so I can view webpages properly. We've only just got Office 2016! When I get home I'll see what it is like on my Windows 10 PC with Edge. Edit: I'm back home on my Windows 10 desktop PC and I can see the photos in Edge. It also works in IE 11. Looks like a U turn from Photobucket, pictures in Forum threads seem to be reappearing. Absolutely right, they have a new CEO, re-jigged their management (read into that what you will, they used to have 60 staff, now only have 10), removed the hotlinking block on existing images and drastically dropped their prices to £20.50 a year. It all makes sense, whilst I understand that advertising was no longer a sustainable business model on it's own so as not to be just a viable operation but make a return, the trouble is that the previous management team got greedy and got it very wrong very quickly. If they had increased their plan pricing and said no new hotlink images without a small subscription I think that they could have gradually improved their finances, but to go from $0 to $399 overnight was a ridiculous move.